Over the past four years, Australia’s border security framework has been subject to ongoing landmark overhauls. 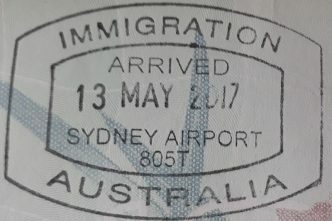 On 1 July 2015, the Department of Immigration and Border Protection and the Australian Customs and Border Protection Service were officially amalgamated into a single agency. At the same time, the Australian Border Force was stood up within the new department. Then, on 20 December 2017, with the ABF reforms still in progress, the Home Affairs portfolio and the Department of Home Affairs were established. Along with further professionalisation of the ABF, Home Affairs continued to innovate and introduce new technologies focused on maintaining the integrity of Australia’s borders. In the absence of any obvious consolidation period, it’s likely that many on the inside of the ABF are experiencing change fatigue. All the while, the restructuring has generated volumes of public criticism. It’s surprising, then, that precious little media attention was given to Home Affairs’ subtle signalling in October 2018 that it would be making a once-in-50-years shake-up of Australia’s civil maritime surveillance capabilities. Australia’s current maritime surveillance arrangements are a product of slow evolution over five decades. 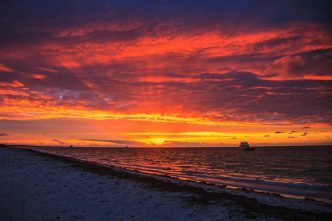 Australia’s maritime surveillance began in the late 1960s, using Royal Australian Air Force and Royal Australian Navy aircraft to patrol the newly declared 12-nautical-mile territorial sea. 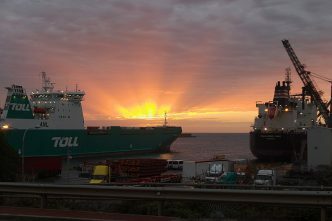 In August 1977, the Australian government announced its intention to declare a 200-nautical-mile exclusive economic zone around the continent. With a growing need for aerial surveillance, the combined military and civil surveillance commitment was boosted to 27,000 flight hours per year. 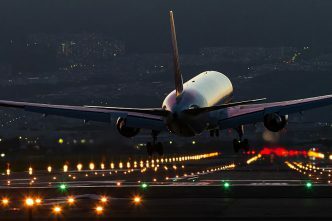 A substantial part of the increase came from the use of chartered civilian aircraft. By the late 1990s, the contracted civil maritime surveillance effort had progressed from a group of binocular-armed observers to encompass a cohesive fleet of contractor-supplied and -operated, purpose-modified aircraft, using modern search radar and communications systems and mature procedures originally adapted from the military maritime surveillance world. Since then, civil contractors have provided around 95% of our civil maritime surveillance. Last year, the Department of Home Affairs initiated the ‘future maritime surveillance capability’ project. 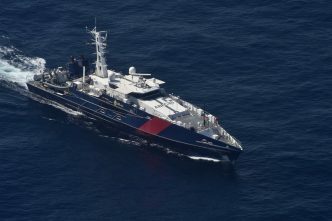 The aims are to ‘provide the next generation maritime surveillance capability to counter current and emerging civil maritime threats to Australia … [and] provide surveillance capabilities that enable timely and effective deterrence, prevention and response operations to protect Australia’s borders and exercise sovereign rights’. Home Affairs released a request for information to the market asking for ‘information on product solutions, indicative costings and potential suppliers’ and offering ‘an opportunity for industry to brief the Department on innovative options to achieve the project outcomes’. Over the last decade alone, there have been dramatic developments in maritime surveillance technologies and their affordability. From small cube satellites and unmanned aerial vehicles to artificial intelligence and swarm technology, the options for Australia are almost limitless. However, in delivering the project, Home Affairs ought to be mindful that a comprehensive maritime border security strategy depends as much on a multi-stage process as on technology. The surveillance process starts with detecting potential threats and finishes with disruption operations. Just as importantly, every surveillance capability has strengths and weaknesses that vary depending on the specific surveillance stage. Searching involves surveying an area using active or passive technical or non-technical means. The aim is to identify anomalous behaviour in Australian waters. Effective searching involves using a mix of sensor types across the search area and integrating the different data feeds to produce a comprehensive picture of the situation so that other surveillance or response assets can be cued effectively. Detection is the moment when an object or vessel is discovered. It’s achieved through one or more technical (active radar or satellite) sensors, visual detection or self-reporting. The level of security risk assigned to a detected vessel depends on several factors. 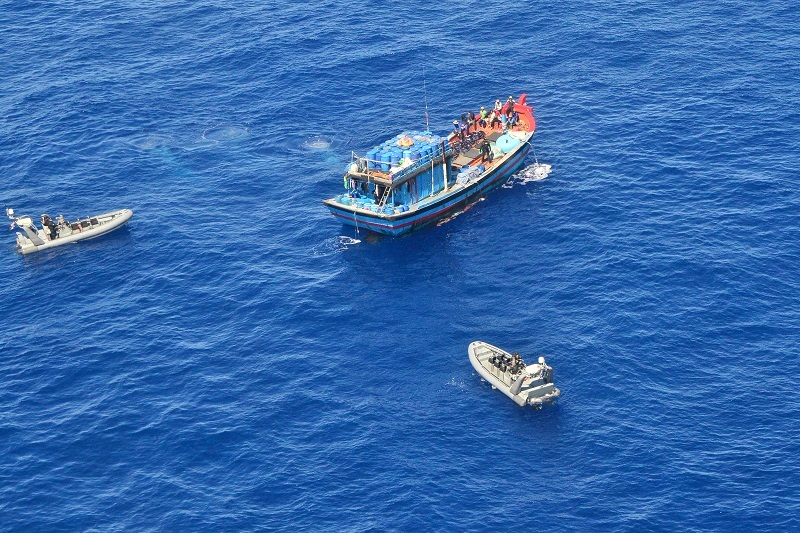 Obtaining information about a vessel, such as its country of origin and any previous offences, assists border protection authorities to make further judgements and determine the level of urgency of the case. The capability to track a vessel has several applications. Accurate tracking enables authorities to determine the vessel’s direction and possible destination, which may further elucidate the threat posed. If necessary, it also informs the planning of an interception at sea or on land. Each step of the process contributes to assessing whether a vessel needs to be intercepted, disrupted, or both, by a navy vessel or an ABF patrol boat. If the vessel is involved in an illegal activity, the interception or interdiction itself may disrupt that activity. This process requires a manned patrol boat so that authorised personnel can board and inspect a vessel. Ultimately, the aim of all of this activity is to increase decision-makers’ understanding of maritime risks and threats by layering information and intelligence collected from space, air, surface and subsurface assets to provide a rich picture of activity at sea that can be further analysed to identify threats. With high staff turnover, and the rise of the public service generalist, both Home Affairs and the ABF will need to be careful that the allure of technology doesn’t get in the way of getting the capability mix right. John Coyne is the head of the border security program at ASPI. Image courtesy of the Australian Border Force.